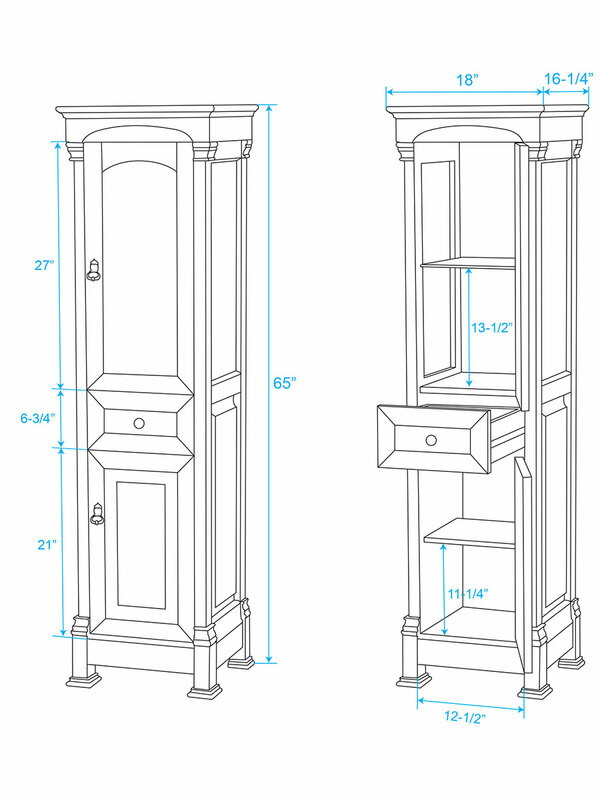 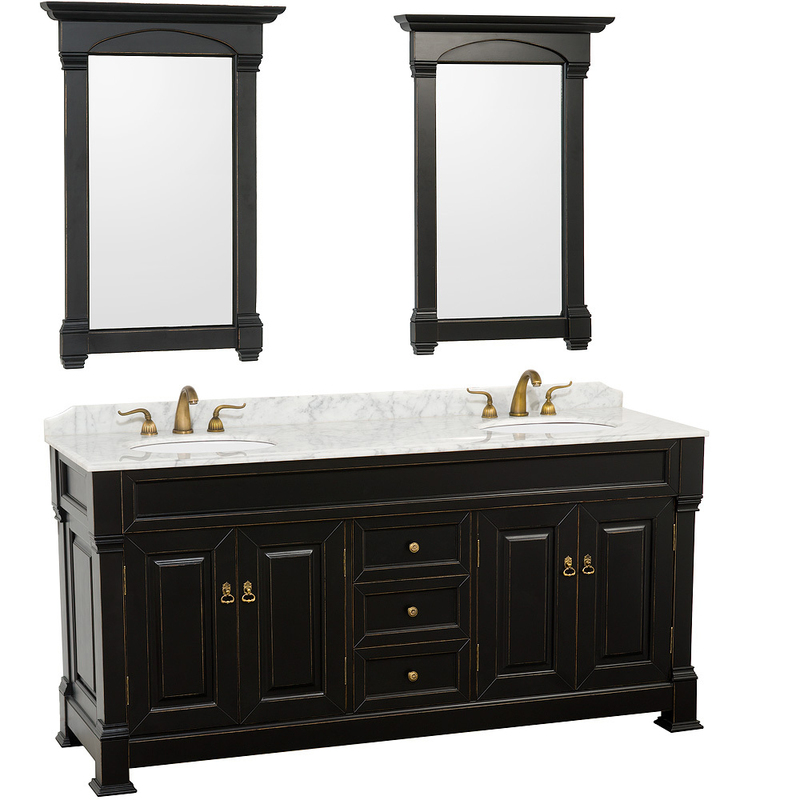 The 80" Andover Double Sink Vanity has the largest in storage and counter space of the entire Andover Collection. 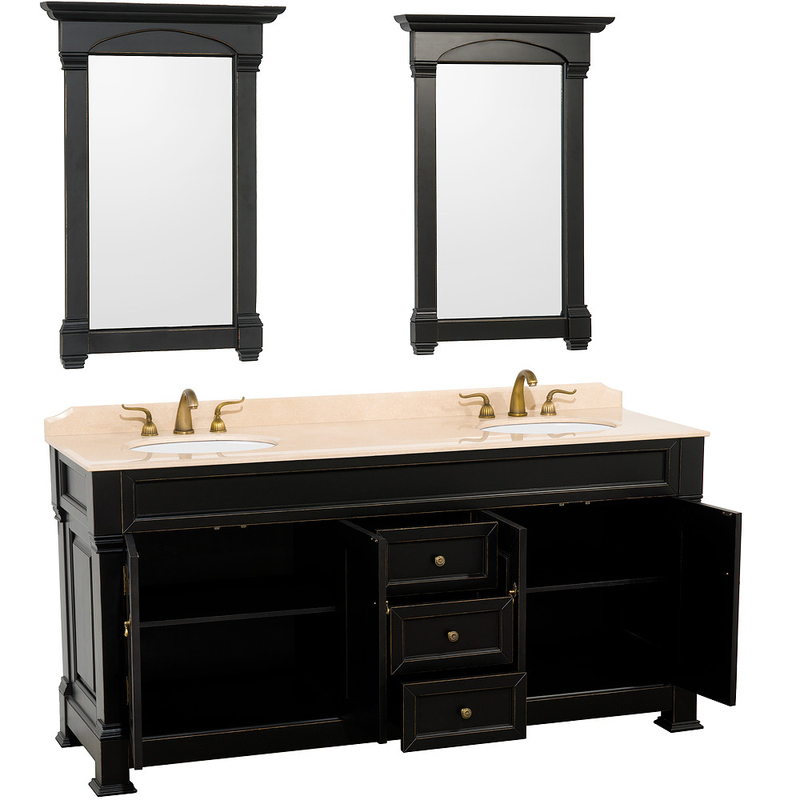 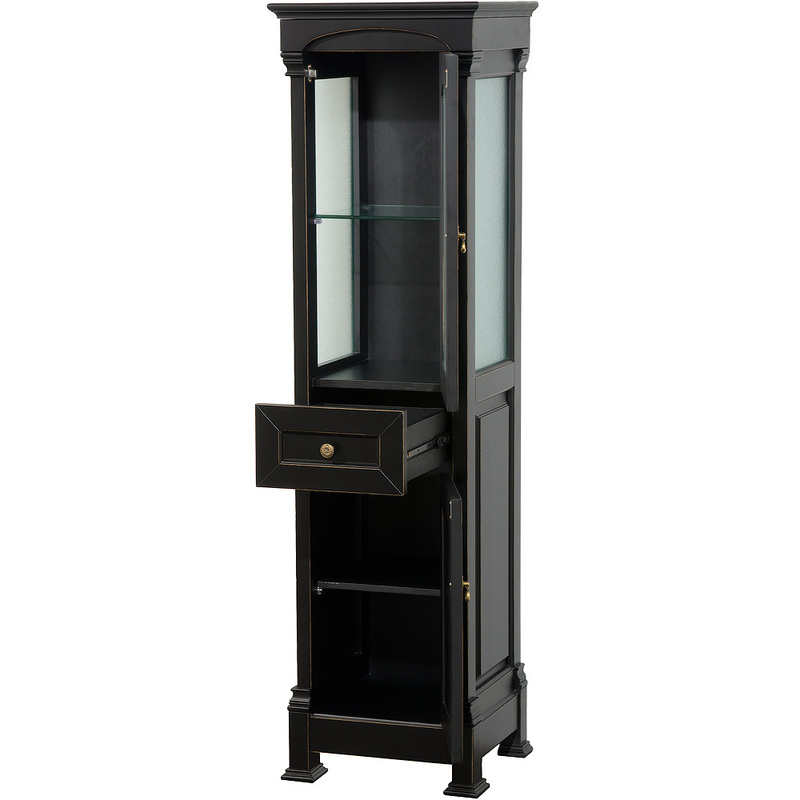 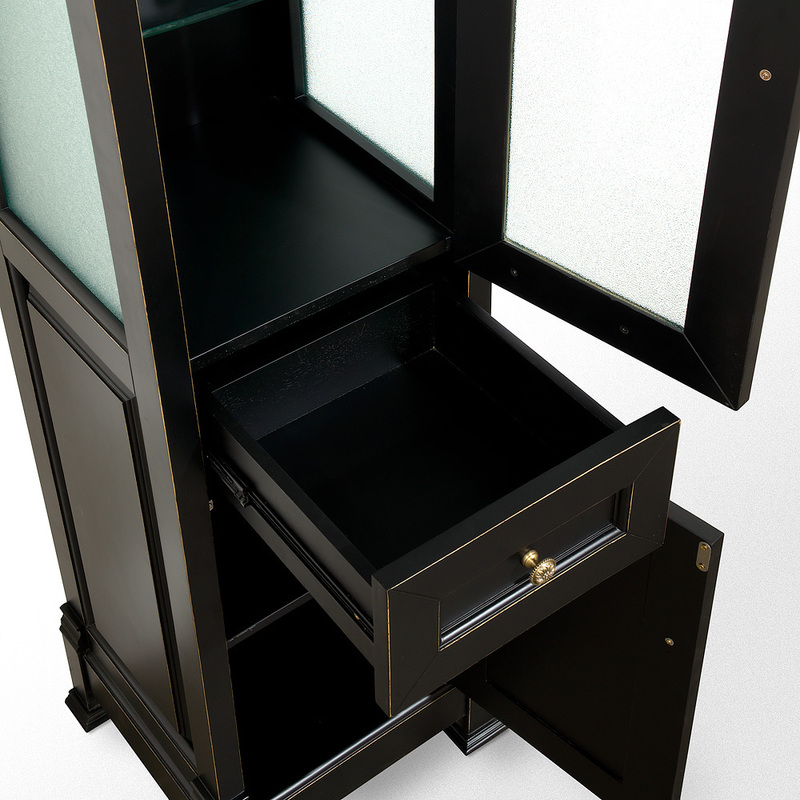 Featuring a solid oak cabinet with a Black finish, this vanity boasts two double-door cabinets and three fully-functional drawers. 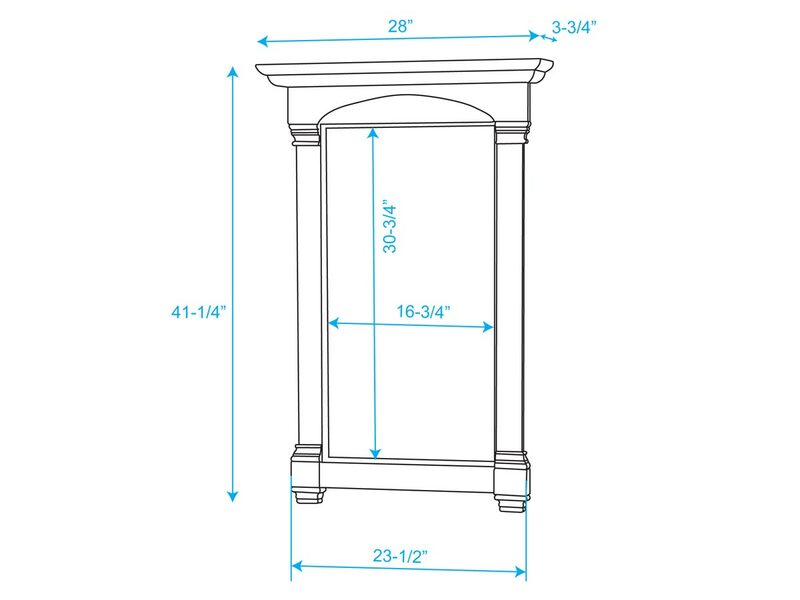 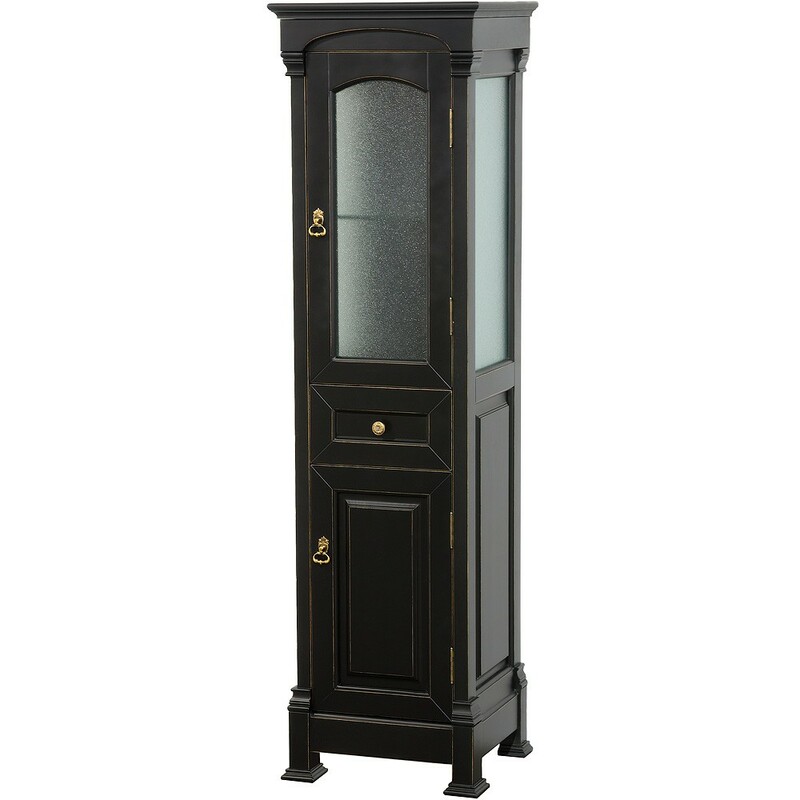 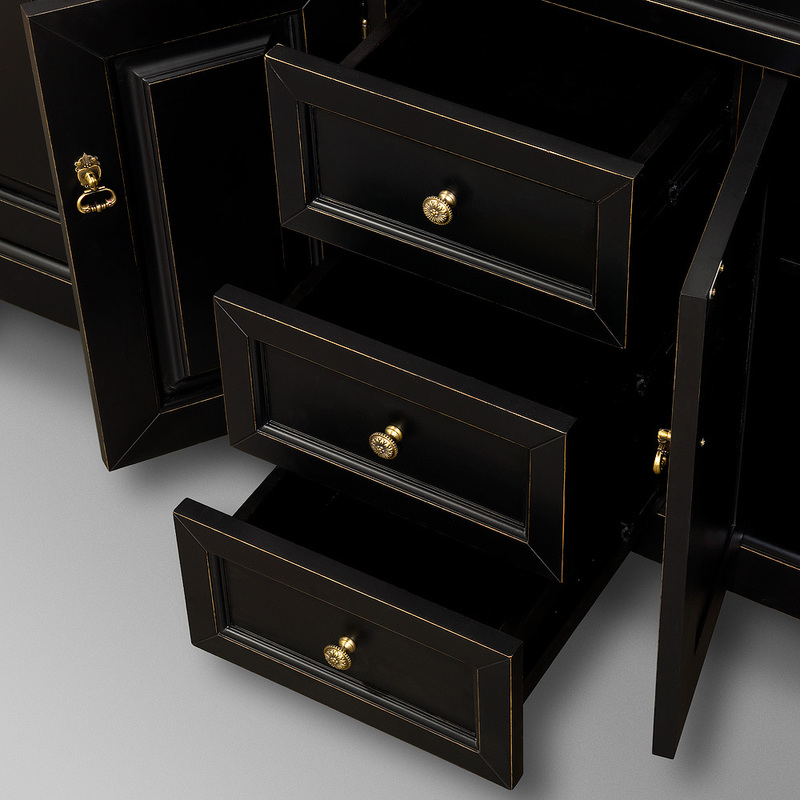 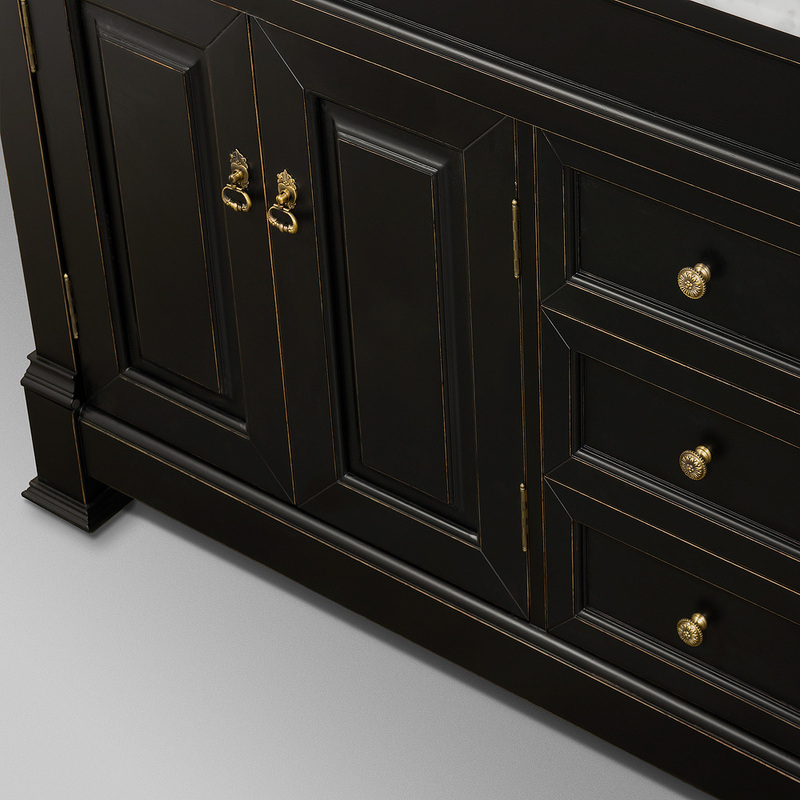 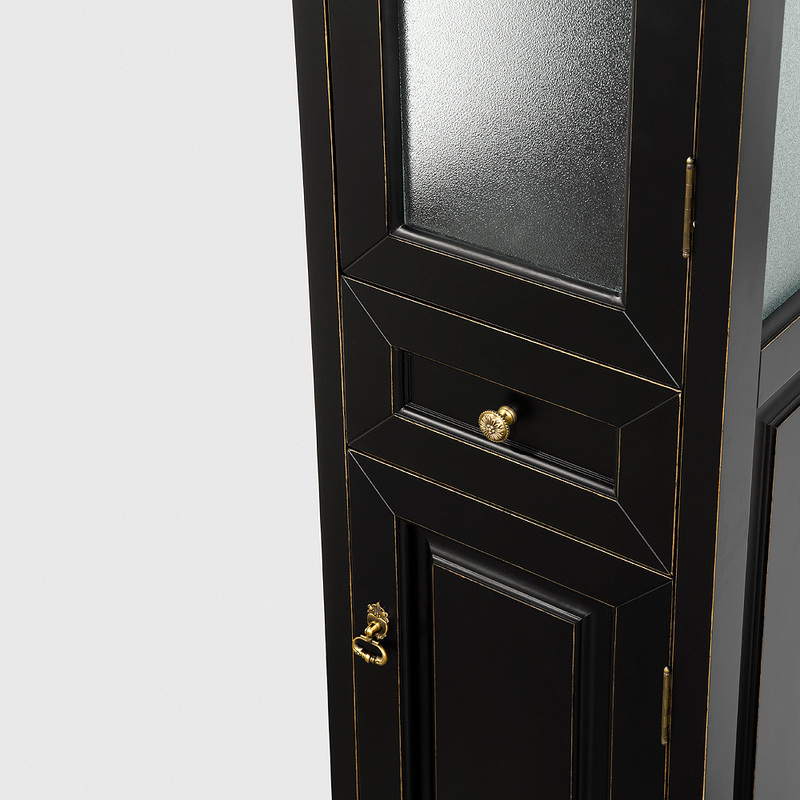 Each cabinet door and drawer front is adorned with an antique style knob with an Antique Brass finish. 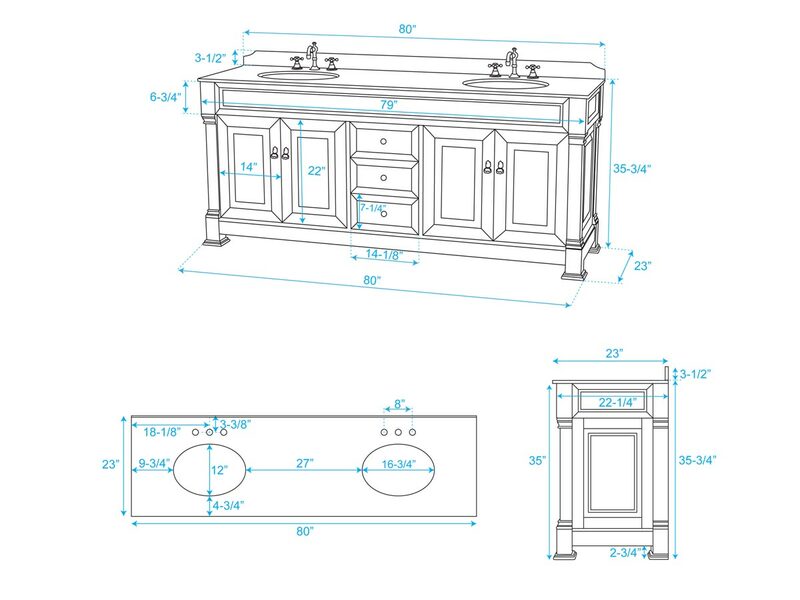 The top is available in Ivory or Carrera White marble and comes with two porcelain undermount sinks and two sets of three faucet holes in a 8" spread. 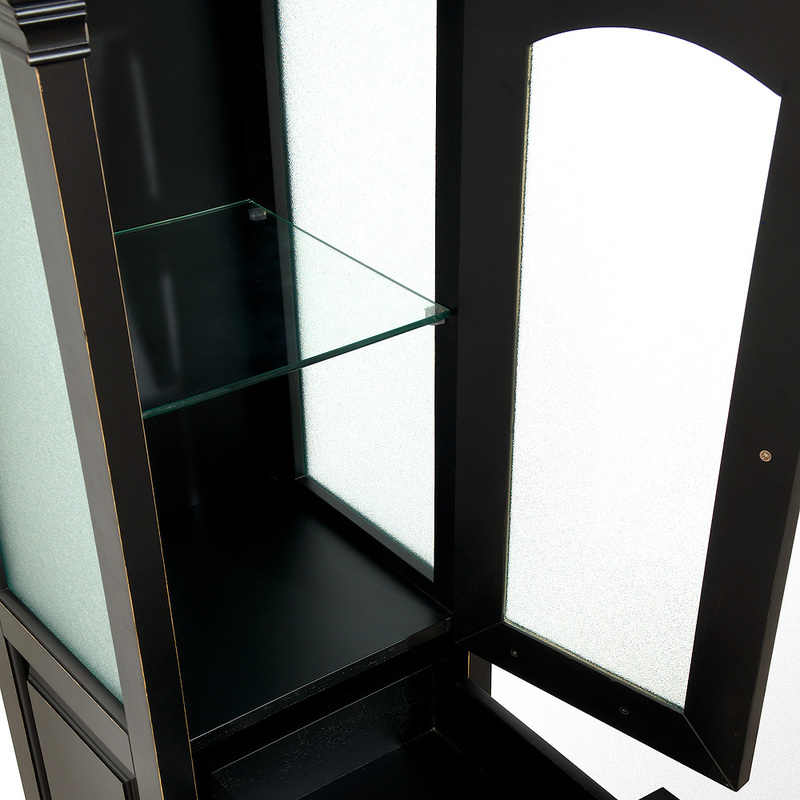 Two matching mirrors come included with the Andover.